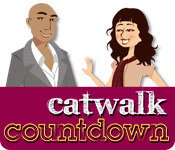 Catwalk Countdown is rated 2.9 out of 5 by 12. Rated 5 out of 5 by sims_star from One of my favorite games! Great, fun storyline. interesting activities and I wish there was a second one!! Rated 4 out of 5 by Bella_2016 from IT was good this game is very good. It does have a bit of a challenged and is lots of fun. I really liked it. Rated 4 out of 5 by pses from Challenging Strategy/Time Management game This was a refreshing time management/strategy game. Simplistic graphics, light-hearted story-line. Different answers you choose can affect outcomes. 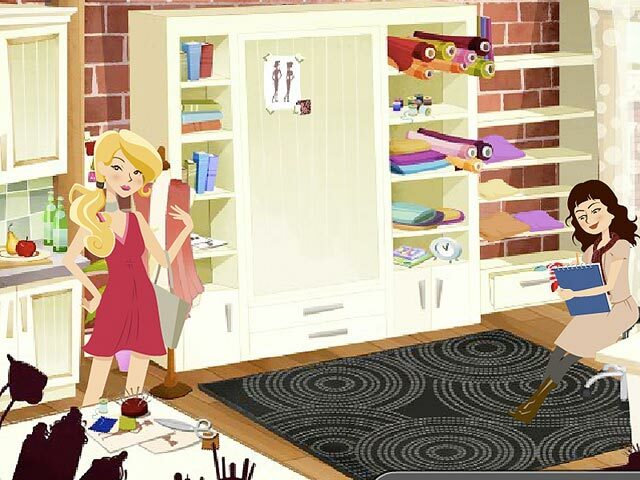 One of the more enjoyable fashion-related games, but really difficult; quite challenging. No help or hints option in game, but still fun. Would need to get the full version game to try more out. It is an engaging game. Rated 4 out of 5 by RainyDayzGrrl from There's more to the game than just creating fashionable clothing. The gameplay is fun. I love getting to decide on my choices throughout the day, and those choices affect if I will make my goals on time, which is actually very challenging. I bought this thinking it was going to be longer than it was. The con to the game is ... at least to me ... the game was not a very long game. By the time I finished the demo, I had no clue that I was probably halfway through the game. It is actually very challenging, but it will not leave you to a point that you will not be able to complete the game by getting stuck. This reminds me to the similarity to Caio Bella game. Enjoyed the game play, regretting using one of my stingy credits because of the shortness of the game duration. Other than that, I can say it was fun while playing it and it's alright if it was a fast game. Rated 3 out of 5 by LaurynRose12 from Short, Easy Game for New or Easygoing Players This game seemed long when I bought it, but I was actually almost done with it. It's really easy and I recommend this game for new or easygoing gamers. Rated 3 out of 5 by tekanji from Didn't live up to my expectations I bought the game because the online demo version was promising. I particularly like the simulation-style time management games (where you have to take care of a character's needs), and the storyline seemed interesting. However, there were several major problems: 1. Apart from your collection and reputation, the stats were useless. What was the point of inspiration? What did well-being affect? I have no idea. And shouldn't a fashion game focus on.. fashion? The only difference between sketching and sewing was how much time they took and how many points they added to your collection. While I understand that actually letting you choose clothes for your fashion line would have been cost prohibitive, I would have much rather have had the "inspiration" stat removed and had the "collection" stat been divided into steps (how many pieces completed, and maybe even have a % completion for each piece, which would let you know if you needed to sketch, sew, or fit). Not to mention that after the first quest with your uncle was over, money was useless (easy to get, but nothing of value to spend it on). You had no rent, no bills, eating at home was free, no need to buy any fabrics... 2. The game was a bit buggy and wasn't good with giving you relevant information. When I moved on in a way the game didn't anticipate, all of my To Do list vanished with no explanation, including currently open tasks. Failing something was frustrating, because half the time I'd be where I needed to be but be 30 minutes early, but all the tasks I did took an hour which made me fail! Not to mention that when I failed the game by giving the wrong dialogue options, the game plopped me at the beginning of the week with no To Do list and no guidance aside from "get your collection ready". I did so, failed again, and then by chance got back to the original dialogue that I had failed (but then had to go through ANOTHER week of doing nothing just to get the ending text). Not to mention that it was hard to figure out which dialogue options mattered and which would give you the same response no matter what. 3. The story started out strong but fizzled out pretty fast. There was a lot of potential for interactions between you, your uncle, your two friends, and the fashion guy. None of them really panned out; your friends and uncle just kind of faded out, and the dialogue with the fashion guy started getting weird at the end. Not to mention that the ending text was underwhelming and made me feel like nothing I had really done up until then had really mattered. Yeah, she got her collection and fulfilled her dream, but that was guaranteed to happen by winning the game. I would have liked better development of and an actual resolution to the various plots started with the supporting casts. *** Honestly, though I can't recommend this particular game, I would be willing to check out another game in this style by the developers. The engine itself was relatively easy to use, and aside from some useless fripperies (the celebrity photos was unneeded), I felt it helped with immersion. The dialogue itself was pretty well written (though there were a couple of typos), and if the storyline were better developed it would have helped make this game a lot more fun. Solid gameplay would have also helped to smooth out some of the gaps left by the lack of story content. 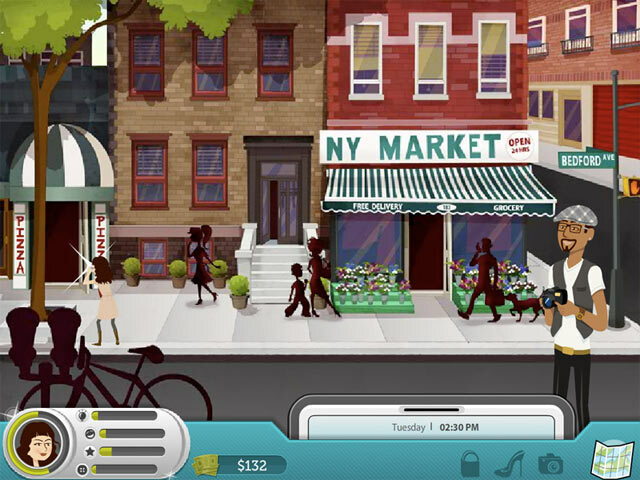 I would recommend for any developers who are thinking of publishing this style of game to take a look at some of the popular games as models for what to do (The Sims series is a good example of solid gameplay, while Visual Novels like Matches and Matrimony are a good way to get an idea of the level of story content needed). Rated 2 out of 5 by gsaltares from WAY TOO SHORT When I first played the game I loved it and bought it right away but the game ended way too fast and it does get abit repetitive. Other than that the game was fun but I wouldn't recommend you buy this game.